New industry research will have 40 million contact lens wearers scrambling to replace their contact lens cases. So often contact lens wearers are making a mistake and they don't even know it. 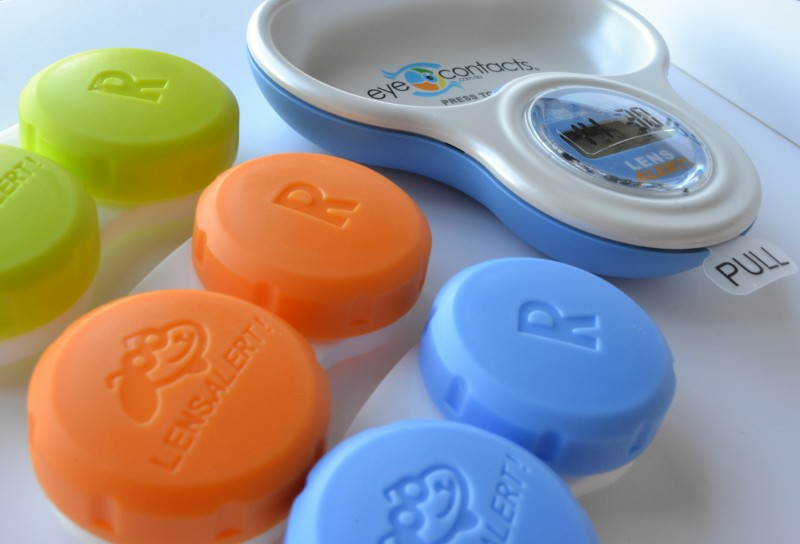 A contact lens case is designed to hold a special cleaning solution to kill bacteria and clean lenses by remove small protein deposits. However it seems that lens wearers are choosing not to replace their contact lens cases which can actually have the opposite effect and contaminate the actual contact lens. When the contact lens case in not replace frequently the user is taking a very big risk with their eye health and vision. Just because the case look clean does not automatically mean that is free from nasty bacteria. What is that growing in your contact lens case? If not replaced regularly it can be the prefect environment for nasty fungi, bacteria and other pathogens. These unseen nasties begin to live off each other and can be transformed into a new bacteria which is resistant to regular disinfection solution. They can attach themselves nicely to your contact lens and then into your eye, and in some cases result in complete vision loss. So although you may follow your cleaning and rinsing routines and not replace the actual contact lens case, the bacteria will eventually find a way to multiply. Do not put your case in the dishwasher, do not wash with hot water - replace it and keep your vision. When using your case remember to rinse the lid with your lens solution and air dry. Keep your case away from water. Nearly all eye related complications such as discomfort, itching and even blindness can be tracked back to a dirty contact lens case. So replace it every 3 months at the minimum. Optometrists now recommend replacing the case monthly, with a clean, new contact lens case, as its better to be safe than blind. So enjoy more comfortable hygienic contact lens wear and replace that case often. To protect yourself we recommend a new case every 30 days.